Description of Bond Insurance. Explanation. Bond Insurance is an insurance contract whereby an insurance company commits and guarantees to protect investors in case of payment default by the issuer of the bond, assuring (scheduled) payment of the due interest as well as the principal amount. Note that as all other types of insurance, bond insurance covers only specified events. Bond insurance provides protection for investors against economical loss, in return for paying a specified premium to a third party, usually an insurance company. Basically, it is a three-way contract. The premium will provide interest and capital repayments as specified in the bond policy in the event of payment default of the issuer. The perceived risk of failure of the issuer. The interest savings that are realized by the issuer from employing the bond insurance. The increased value of the security realized by an owner who purchased the bond insurance. Bond insurance has only been introduced relatively recently. Until the 1970s no one worried about governments or companies defaults. However, after 1975, when New York City government and lately Washington Public Power Supply, a large Pacific Northwest utility company, went close to bankruptcy, this increased the vulnerability of investing in bonds. A number of companies thus thought to offer a form of bond insurance. The first such bond insurance company, Ambac Financial Group Inc., was formed in 1971. A second firm, MBIA, first appeared in 1983. The number of bond insurers has increased over the years. Bond insurance has attracted potential investors that are interested in a wide range of bonds. It has also increased bond marketability. The first kind of bond coverage was the municipal bond insurance, which provides protection for investors who purchased municipal bonds, or munis, issued by state, city, and governmental agencies. 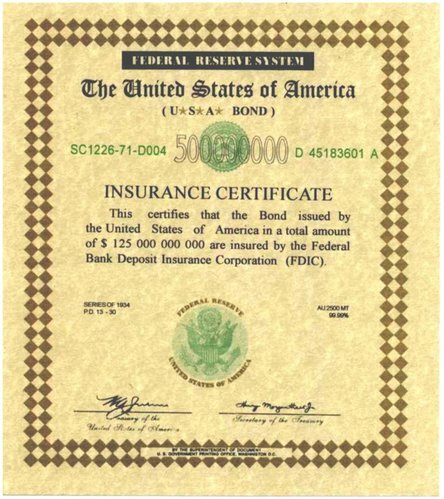 Municipal government bonds were insured by the so-called monolines starting in the 1970s. Monolines are insurance companies that do not have other insurance lines, such as life or property/casualty. Public bonds are debt instruments sold to raise capital required to fund various public projects, including infrastructure, schools and housing developments. National government bonds are almost never insured, because governments are generally allowed to print money. Here you can find more information on corporate bonds. Buying a bond means there is a loan to a large borrower such as a corporation or a governmental body. A bond insurance company buys bonds from an issuer in order to sell them to public or individual investors. Bond insurance considerably reduces investment risks and it is also used as a long-term investment instrument. Carrying this type of insurance, an employer or a company could increase credibility. A bonding company could also act in a case of customer dissatisfaction, minimizing the financial risk for the client. Bond insurance companies buy this type of policy to increase their credit ratings, reducing the risk of disruption. A higher rating (AAA) is desirable, because it typically reduces the amount of interest the issuer needs to pay. Since investors perceive higher rated issues as better quality and safer securities, they are willing to accept a lower profit in return for the protection of their capital. Uninsured bonds are likely to lose value during an economic downturn. There are several kinds of bond insurances which are tailored for specific needs or bonding requirement. People who might need to be bonded could be companies that requires after-hours access, or those who deal with large quantities of cash, contractors, agencies that provide temporary personnel, janitors and businesses that engage in government contracts. To get bond insurance, the client should contact a local or national company to discuss his needs, examine the risks investigating aspects such as tax base, local economy, financial status in order to obtain a premium quote. Typically, only bonds that are considered 'investment grade' can obtain bond insurance. This ends our Bond Insurance summary and forum.